Publicly listed businesses may combine by way of stock or asset acquisitions, and mergers. A merger may take one of two forms: the absorption of one company by another or the merging of two or more companies into a newly formed company. Demergers are also permitted and specifically regulated by Turkish law. A public company is defined as a joint stock company that either has more than 500 shareholders (excluding crowdfunded companies) or has shares traded on a stock exchange. the Communiqué on Takeover Bids, No. II-26.1, issued by the CMB under the CML. rules and regulations issues by Borsa Istanbul, Turkey’s national stock exchange. Other laws, such as those relating to intellectual property and data privacy and sector-specific legislation (eg, banking, energy) may also apply to the transaction. Yes, international style transaction agreements are the norm when publicly listed companies are acquired through negotiated transactions. 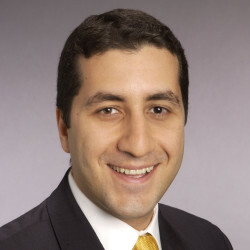 While parties to a contract are, as a general rule, free to choose the governing law and dispute resolution provisions of the contract so long as there is a foreign element to the relationship, most M&A agreements in the Turkish market are governed by Turkish law. Having said that, certain Turkish law provisions will always be binding on the parties and the target company regardless of the governing law of the contract, for example, formalities regarding share transfers, statutory minority rights and corporate governance. the asset or activity subject to an acquisition transaction or at least one of the parties in a merger transaction having annual revenues in Turkey exceeding 30 million Turkish liras, and at least one other party to the transaction having annual global revenues exceeding 500 million Turkish liras. In the event a capital increase is part of the transaction structure, a general assembly meeting must be held to amend the articles of association of the company. The general assembly decision and the amendment to the articles must be registered with the trade registry, approved and announced in the Trade Registry Gazette, for which certain fees apply. Capital increases are also subject to a 0.04 per cent Competition Authority fee over the capital increase amount (including any premium paid). A change of control in a public company triggers a mandatory tender offer, which requires the bidder to file with the CMB certain documents and information, including, among other things, source of funds, the agreements (if any) that triggered the mandatory tender offer and agreements with intermediary institutions. Changes of control can occur through the direct or indirect acquisition by a shareholder (or a group of shareholders acting together) of a majority of the voting rights in the company or the power to nominate a majority of the company’s board, except for cases where such shareholders are unable to control the company owing to the existence of privileged shares held by others. The mandatory tender offer requirement also gets triggered if shareholders enter into an agreement (eg, voting agreement) that leads to joint control even if there is no change in the shareholding structure. In merger and demerger transactions, certain filings must be made with the trade registry (this requirement applies to private companies as well). Furthermore, public companies must also make a public announcement approved by the CMB, and file with the CMB, for approval of the transaction, an extensive set of documents (including, among other things, the merger agreement, financial statements on which the transaction will be based and a financial expert’s opinion) and also pay filing fees. The CMB filing requirements are triggered so long as at least one party to the merger or demerger transaction is publicly traded. After completion of the transaction, companies containing foreign capital are required to provide periodical reports on the details of the foreign shareholding in the company to the General Directorate of Incentive Implementation and Foreign Investment of the Ministry of Economy. This is an administrative filing and does not affect business combinations or acquisitions. See also questions 6 and 17. In business combinations and acquisitions where merger clearance thresholds are triggered, the basic facts of the transaction become public shortly after filing the clearance application. These are usually limited to the identities of the parties and a high-level description of the transaction, while sensitive information ordinarily receives confidential treatment by the Competition Board. Having said that, much of this confidential information becomes public owing to CMB requirements, as described below. The CMB disclosure requirements are twofold: general disclosure requirements that govern material, non-public information and specific disclosure requirements applying to enumerated transactions. The general disclosure requirements apply to, among other things, inside information (ie, non-public events and developments that may have an effect on price or the investment decision of investors) subject to certain exceptions, and the confirmation or denial of rumours (eg, press coverage of a material event). These are primarily regulated by the Communiqué on Material Events. The Communiqué on Mergers and Demergers requires the disclosure of, among other things, corporate resolutions regarding the contemplated transaction, the merger or demerger agreement or plan, applicable financial statements and a merger or demerger report prepared (individually or jointly) by the parties to the transaction. The Communiqué on Takeover Bids, which regulates mandatory and voluntary tender offers, requires the disclosure of information on, among other things, calculation of the tender offer price, source of funds to be used in the share purchases under the tender offer, offeror’s strategic plans regarding the target company and tender procedures (eg, time frame, number of shares subject to the tender). Additional disclosure requirements may be applicable depending on the specific sector involved. See question 17. Pursuant to the Communiqué on Material Events, No. II-15.1, issued by the CMB, if the direct or indirect shareholding or voting rights, including options to buy publicly traded shares, held by a real or corporate person or a group of persons acting together in a publicly traded Turkish company reaches or falls below the thresholds of 5, 10, 15, 20, 25, 33, 50, 67 and 95 per cent, a disclosure must be on the Public Disclosure Platform (PDP), the online system through which public disclosures required by capital markets legislation, including Borsa Istanbul rules and regulations, are made. The Central Securities Depository of Turkey (CSD) also automatically makes the same information publicly available. For private companies with publicly traded securities on an exchange, the applicable disclosure thresholds are only 25, 50 and 67 per cent. Furthermore, the CSD maintains an up-to-date table of holders of 5 per cent or more shares and voting rights in publicly traded companies. The TCC also has reporting requirements applicable to all capital stock companies. Pursuant to Article 198 of the TCC, if an undertaking’s (affiliate’s) direct or indirect shareholding in a company reaches or falls below the thresholds of 5, 10, 20, 25, 33, 50, 67 and 100 per cent, such affiliate must notify the company in which it holds the relevant shares as well as any applicable public authorities within ten days. Information on any such triggering transactions must be made available on the company’s website, and included in the company’s annual activity report and audit report. Furthermore, board members and managers of the company and the referenced affiliate, and their respective spouses and dependent children, who hold at least 20 per cent of shares of the company or the affiliate must disclose such holdings. The disclosure will be registered with and announced by the trade registry. Failure to fulfil any of the TCC obligations described in this paragraph results in the ‘freezing’ of all voting and other rights in the relevant shares. There is debate among practitioners and academia as to how to cure the loss of these rights. The requirements described above are not affected solely by virtue of the company being a party to a business combination. However, disclosure relating to a specific merger or demerger transaction may have to include additional shareholding and related information (see question 5). In addition to the general duties of directors to act in the best interests of the company, avoid conflicts of interest and not compete with the company, which apply to public and private company directors alike, public company legislation has more specific rules that directors must follow in dealing with the protection of minority shareholders, related party transactions and risk management. These duties and rules apply when dealing with stakeholders and third parties in business combinations or sales as they do to any other matter. Under TCC article 202, controlling shareholders must not use their control in a way that would harm the interests of the company. Such harm is defined broadly and includes, among other things, any act or decision which may adversely affect the company’s productivity, restricting the company’s investments and forcing the company to enter into adverse financial transactions. Minority shareholders who suffer losses as a result can request compensation. Additionally, the TCC also specifically references M&A transactions and states that if an M&A transaction (and certain other significant transactions) is undertaken by a company as a result of the use of control rights but the transaction does not have a clear rational purpose for the company, shareholders who voted against the transaction or objected to the board’s relevant decision in writing, as applicable, can request the controlling entity, through court action, to purchase their shares, or request compensation for their losses. If the company’s shares are listed on a stock exchange the applicable purchase price will be the prevailing trading price. However, if the shares are not traded on an exchange or if the trading price is not fair, the purchase price will be their true value or a price calculated under a generally accepted method. All parties and stakeholders are also always subject to the overarching article 2 of the Turkish Civil Code (Law No. 4721), which requires that they act in good faith and adhere to fair dealing principles. Merger and demergers, and sales and leases of a significant portion of, or all, assets are considered to be significant transactions for public companies, and are subject to shareholder approval (two-thirds of voting rights present and voting at the general assembly, unless a higher quorum is required by the company’s articles of association). Shareholders who vote against such transactions at the relevant general assembly meeting can request the redemption of their shares by the company at a price equal to the average of the weighted average trading prices of the company’s shares for the last 30 days prior to the announcement of the relevant transaction. This right will also be accorded to shareholders where the company fails to fulfil its duties related to the convention of the general assembly (ie, unduly preventing the shareholder from attending the meeting, or failing to perform necessary call or agenda publication procedures). See also question 14 for a discussion on squeeze-out mergers. Hostile takeovers are rare in Turkey, rare examples mainly including family feuds (which do not necessarily follow the formalities of a regular takeover process and often involve protracted litigation). This is because many public companies in Turkey have low public float percentages and majority ownership is concentrated in the hands of one or a small number of (usually related) shareholders, making it impractical to launch hostile takeovers. In any case, Turkish law does not specifically govern hostile transactions although voluntary tender offers and squeeze-out transactions are permitted and their procedures regulated (see questions 12 and 14). Subject to general rules applicable to publicly traded companies (eg, significant transactions, board duties), there is no restriction under Turkish law regarding break-up and reverse break-up fees, and such fees may be negotiated under Turkish law’s freedom of contract principle. Furthermore, penalty clauses are generally enforceable under Turkish law. Having said that, such arrangements are rarely seen in practice, in large part because of the relative lack of process-driven M&A transactions, concentrated shareholding structures and the target board’s general inability to influence a negotiated transaction, among other reasons. It is difficult for (the board or management of) a public company to protect itself against third-party bidders, mainly because of concentrated shareholding structures and small public floats, and hence the board and the management being direct representatives of the shareholders. Also, many statutory and practical tools such as poison pills and the ability to shop the company used in some jurisdictions are not always available in Turkey. Furthermore, transfers of both publicly traded and privately held shares in public companies may normally be made by the shareholders without any restrictions. The limited exceptions to this rule include (i) the company’s right to approve transfers of registered shares that have not been fully paid up where there are doubts about the acquirer’s ability to pay for the shortfall (and the acquirer has not posted security if requested by the company); and (ii) the company’s approval right as specifically included in the company’s articles of association, subject in each case to certain exceptions relating to inheritance, marital property rules and enforcement actions. Another tool available to the target company’s board is the report it is required to prepare in connection with a voluntary tender offer. In this report, which is made available on the PDP, the board must discuss, among other things, the offeror’s strategic plans relating to the target company including the potential impact of the offer on the company’s employees. The board can issue, within the confines of its statutory duties, an unfavourable report if it believes that the tender offer is not in the best interest of the company. Furthermore, in voluntary tender offers, the CMB can lengthen the offer period up to 30 business days if the target company requests holding a general assembly meeting to enable the shareholders to evaluate the tender offer. Thus, if timing is of the essence for the offeror, the board may be able to prevent a successful tender by holding a general assembly. Finally, it would not be possible for a bidder to conduct thorough due diligence unless the board and management cooperate, although this would be unusual as a practical matter because bidders ordinarily negotiate with the controlling shareholder(s), who can procure the cooperation of the board and management. The TCC includes strict restrictions on financial assistance, a concept borrowed from Council Directive 77/91/EEC, which has since been amended and replaced to give member states more flexibility in permitting certain forms of financial assistance. However, the TCC follows the original Directive and states that a joint stock company (public or private) may not advance funds, make loans or provide security with a view to the acquisition of its shares by a third party (borrowed almost verbatim from the original Directive). Exceptions to the prohibition also follow the original Directive, and are limited to transactions by banks and other financial institutions in their ordinary course of business, and transactions undertaken for the acquisition of shares by the employees of the company or the employees of one of its subsidiaries. However, these exceptions may not be used if they have the effect of reducing the reserves of the company below mandatory statutory thresholds or limits set by the company’s articles of association, or if they prevent the creation of statutorily mandated reserves or, otherwise, the use of such reserves. Read broadly as generally agreed by practitioners to be the legislative intent of the article, this provision essentially rules out the use of acquisition financing by a target operating company, and the market has shied away from trying to employ alternative structures (for example, the merger of the operating company with the holding company in a financed transaction). Furthermore, while many jurisdictions that have financial assistance legislation permit companies to provide financial assistance for the acquisition of their shares as long as certain conditions, such as arm’s-length terms, the approval of shareholders, and the maintenance of prescribed net asset and reserve thresholds are met, Turkish law has no such exceptions. A public company cannot acquire for its own account or accept as a pledge more than 10 per cent of its own shares. Buyback programs are also subject to various temporal, financial, disclosure and other conditions. There are limited restrictions on the ability of companies containing foreign capital to purchase and hold title to some real estate, and certain post-acquisition clearances of existing real estate ownership by the target company if it becomes at least 50 per cent foreign-owned. Furthermore, in certain (sensitive) industries where there may otherwise not be statutory approval requirements for business combinations or acquisitions, but where licensing requirements apply, a regulatory vetting process may prevent the transaction (eg, if acquiring shareholders have criminal records). Negotiated transaction documents can include customary conditions precedent such as financing. However, tender offer documentation must include details on source of funds (see questions 4 and 5). Mandatory tender offers cannot include any conditions as per the Communiqué on Takeover Bids. Because there is no similar ban for voluntary tender offers, voluntary tender offers may include conditions, subject to CMB approval. Furthermore, voluntary tender offers may be made for less than all shares of the company, and certain aspects of the offer (eg, number of shares tendered for, price) may be changed during the offer process. Larger transactions may include a financing out clause although more often than not, the buyer will represent in the transaction documents that it has the necessary financing available. See also question 12. The seller does not have any specific statutory obligations (other than its general duty to act in good faith pursuant to the Turkish Civil Code) to assist in the buyer’s financing although it may be required in the transaction documents to cooperate with the buyer and the potential lenders or allow the lenders to conduct diligence on the target company. See also question 10 for a discussion on the prohibition on financial assistance. Pursuant to the Squeeze-Out Communiqué, No. II-27.2, issued by the CMB, if the voting rights held by a shareholder (or a group of shareholders acting together) reaches 98 per cent through a tender offer or otherwise, or such shareholder(s) acquire additional shares when they are already above this threshold, then the minority shareholders will have the right to sell their shares to the controlling shareholder(s), and the controlling shareholder(s) will have the right to squeeze out any remaining minority shareholders. Once their right to sell is triggered, minority shareholders must notify the company of their intention to use their right to sell within three months. The right remains available even if the controlling shareholder(s) lose their 98 per cent voting right during the three-month period. The company must notify the controlling shareholder(s) of the intended use of minority rights within one month, and must also prepare a valuation report. The controlling shareholder(s) then have three business days to deposit with the company funds in consideration of the shares to be purchased, and the company must transfer these funds to the selling shareholders within two business days. A minority shareholder exercising its put right must exercise it for all of its shares. After the expiry of the three-month exercise period of the minority shareholders, the controlling shareholder(s) will have the right to squeeze out any remaining minority shares. The controlling shareholder(s) must notify the company of their intention to use their squeeze-out right within three business days of the expiry of the three-month period. The notification must be accompanied by a bank letter of guarantee or evidence of blocked funds sufficient to exercise the squeeze-out right. For publicly traded shares, the squeeze-out price will be the 30-day average of the weighted average price of the same class of shares on the stock exchange prior to the controlling shareholder(s) reaching 98 per cent or, if already above 98 per cent, prior to the public announcement of the additional purchase by the controlling shareholder(s). For non-listed companies, the price will be determined through a valuation report. The actual exercise of the squeeze-out may be made only after approval by the CMB, which will normally add several days to the process. Upon the CMB’s approval, the controlling shareholder(s) have three business days to deposit the consideration with the company. It should be noted that the described put and squeeze-out rights cannot be exercised during the first two years after the initial listing of a company’s shares on a stock exchange. offer to those shareholders the choice between (i) such cash consideration or (ii) shares in the surviving entity pro rata to their shareholding interests. In order for such a clause to be valid, the merger agreement needs to be approved by shareholders holding at least 90 per cent of the voting rights in the non-surviving company (TCC article 151/5). The TCC also includes an additional squeeze-out right (applicable to public and private companies alike) in article 208, pursuant to which a controlling entity (ie, the right may not be used by individual shareholders) holding at least 90 per cent of the shares or voting rights in another company may be able to squeeze out the minority, through a court proceeding, if the minority is ‘preventing the operation of the company, acting against the principle of good faith, creating discernible hardship or acting recklessly’. If the company’s shares are listed on a stock exchange the applicable purchase price will be the prevailing trading price. However, if the shares are not traded on an exchange or if the trading price is not fair, the purchase price will be their true value or a price calculated under a generally accepted method (ie, the same calculation method as applies to the minority exit right under TCC article 202 described in question 7). Cross-border transactions are normally structured through direct acquisitions by an operating entity of the acquirer or through a newly formed special purpose vehicle (SPV). SPVs are most often established in tax-efficient and well-regulated jurisdictions such as the Netherlands and Luxembourg, and less often in Turkey. In some cases, significant shareholders may together move their shareholding structure up to the SPV level for tax reasons or concerns surrounding the enforceability under Turkish law of certain provisions in their shareholders’ agreements. No specific laws and regulations apply to cross-border transactions as such. Furthermore, Turkey has no capital controls, or restrictions on or different treatment of foreign ownership of company shares, subject to limited exceptions such as certain share transfer approval requirements and foreign ownership thresholds in regulated sectors (see question 17), and certain variations in the taxation of capital gains and dividend distributions depending on tax residency (see question 18). There are various waiting periods stemming from the TCC, public disclosure requirements, rules protecting creditors, trade registry filings and CMB approvals (eg, tender offer documentation), among other things. For example, the information required to be publicly disclosed pursuant to the Communiqué on Mergers and Demergers as described in question 5 must be made available publicly at least 30 days prior to the general assembly meeting where the transaction will be approved. Furthermore, pursuant to the TCC, in merger and demerger transactions, companies participating in a merger or demerger must publish an announcement in the Turkish Trade Registry Gazette and on their websites announcing that the transaction documents (ie, agreements, reports and financial statements) have been made available at the registered address of the company for inspection by the shareholders. These documents must be made available at least one month prior to the relevant general assembly meeting for mergers and at least two months before the relevant general assembly meeting for demergers. Pursuant to article 202 of the Code of Obligations, when assets constituting a commercial enterprise (including a line of business) are transferred in a transaction, the transferee is required to notify the transfer to the creditors of the transferor or announce such transfer in the Turkish Trade Registry Gazette, and the liabilities of the transferred enterprise may not be excluded from the transfer. Specifically, all tax liabilities and encumbrances are transferred along with the enterprise. It should be noted that the seller remains jointly and severally liable for debts of the enterprise for two years following the transaction. Moreover, transfer of commercial enterprises needs to be registered and announced with the relevant trade registry. There are also additional notification periods set out by law for the protection of creditors. Accordingly, creditors are entitled to claim security for their receivables within three months following a merger transaction being registered. Furthermore, in demerger transactions, the company must invite creditors to declare any receivables they have, and allow them to claim security for such receivables, by making three consecutive announcements in the Turkish Trade Registry Gazette with seven-day intervals prior to the demerger transaction. See also questions 4, 5 and 6. Yes. Such industries include, among others, asset management, aviation, banking, consumer finance, factoring, energy, insurance, investment management, media, mining, private security services and telecommunications. Share transfers in companies operating in these industries may be subject to the preliminary approval of the relevant regulatory authority. Such approval requirement may be absolute or triggered by percentage thresholds depending on the sector. In addition, there are some maximum shareholding percentages that apply to foreign investments in certain strategic sectors, such as media, aviation and private security. Furthermore, there are also limited restrictions on the ability of companies containing foreign capital to purchase and hold title to some real estate. In stock sales, capital gains tax is normally applicable with certain partial and full exemptions available. Stamp duty also used to apply to stock purchase agreements until 2016, when the applicable legislation was amended to exempt such agreements from stamp duty. Sales of public company shares are also exempt from VAT. It is possible to structure mergers and demergers as corporate tax-free transactions provided certain conditions are met. Tax-free mergers and tax-free demergers meeting certain conditions are also exempt from VAT. Generally, taxable mergers and asset transactions are subject to VAT at 18 per cent, and certain assets may be subject to different rates. The tax residency of foreign parties may also change certain tax treatments under double taxation treaties or otherwise. In stock acquisitions (whether or not there is a change of control), as a general rule, the employment relationships continue without any change or any rights being triggered, subject to any special terms in specific employment agreements (eg, golden parachute clauses). Having said that, if the terms of the transaction adversely affect employees’ rights, the affected employees will be entitled to terminate their employment relationship for just cause. In transfers of a business or a workplace, or part thereof, all existing employment contracts will pass on to the buyer along with all rights and obligations thereof as a general rule. For the purposes of calculation of employment entitlements of the transferred employees based on seniority, the buyer is legally required to make the calculations based on the date on which employees started work for the seller prior to the transaction. Automatic continuity of employee benefits and pensions are also required by Turkish law. All employee benefits, along with all employee contract rights and obligations, automatically transfer with the employees. To the extent that any private benefit plans have been obtained by the seller, the buyer must provide the same or substantially similar benefits post-transaction. For a period of two years following the transaction, both the seller and the buyer remain jointly responsible for liabilities to transferred employees that accrued prior to the transaction. However, in merger and demerger transactions (including intragroup), employees can object to the transfer of their employment relationship and terminate their employment. In case of such termination, both the original and the new (intended) employer are responsible for the accrued but unpaid entitlements of the objecting employees. If an employee does not object to the transaction, his or her employment relationship passes on to the new company as is, and neither the transferor nor the transferee is authorised to terminate the employment solely because of the merger or demerger transaction. Accordingly, subject to the objection and termination rights of employees described above, and any contractual obligations (eg, arising out of collective bargaining agreements), there is no general requirement to notify or obtain the consent of employees for public M&A transactions. That being said, it is standard practice to provide courtesy announcements and notifications to employees regarding an impending transaction that will affect their employer, particularly because of the termination rights that may be triggered. A company in liquidation is permitted to be part of merger transactions only if the distribution of its assets has not yet commenced and it is the absorbed entity in the transaction. A company that has lost more than half of its capital (including reserves) or is balance-sheet insolvent from a statutory (TCC) perspective can be part of a merger transaction only if it is the absorbed entity in the transaction and the acquirer has adequate disposable capital to make up for the shortfall in the acquired company’s capital. As a general rule, business combinations or acquisitions involving companies in bankruptcy or in a composition with creditors are subject to the bankruptcy court’s supervision and approval under the Enforcement and Bankruptcy Law (Law No. 2128). An overarching provision in the Enforcement and Bankruptcy Law is that if a business (or all or a substantial part of its assets) is acquired for the purpose of preventing creditors from enforcing their rights, the creditors can apply to the court for the annulment of the transaction. Turkish law does not apply specific anti-corruption, anti-bribery or economic sanctions rules to public company combinations and acquisitions. Instead, general principles that are in line with OECD principles and international treaties and norms apply to these transactions. Turkish capital markets legislation and most legislation governing regulated sectors also include additional provisions regarding the suitability of (independent) directors, including from an ethics perspective. Companies may also temporarily or permanently lose certain licences, or be prohibited from receiving certain public benefits or participating in public tenders as a result of breaches of anti-corruption, anti-bribery or economic sanctions rules, or because of criminal convictions of their shareholders for violating certain of these rules. This is particularly important for the due diligence process, and transaction documents normally contain customary clauses (eg, warranties and indemnities) relating to anti-corruption, anti-bribery and economic sanctions. The Turkish M&A market is dominated by private deals, with public deals representing around one-fifth of deals in terms of value. Having said that, it is reasonable to expect the share of public deals to increase over the coming years, in large part because of the push that Turkey is making to develop its capital markets through the adoption of friendlier legislation and the encouragement of more IPOs. These efforts have come to some fruition, including an increased number of private equity exits through IPOs in the past couple of years.